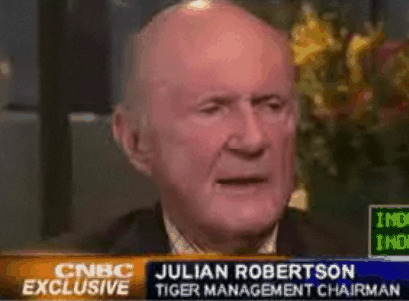 Julian Robertson was recently interviewed by New Zealand’s Dominion Post. In the interview, the retired Tiger fund manager bashed Forbes’s Billionaire list and Obama. “Obama, from all I read, thinks that on every occasion that he is the smartest person in the room. And I think he often probably is, but you can’t run the biggest business in the world having never run even a country store. According to The Dominion Post, Robertson is particularly critical of the Obama administration’s plans to remove a school voucher system in Washington DC. The sytem allows children from poorer areas to use a “voucher” to attend private schools. Read the full interview on the Dominion Post.